February 19, 2019 Please note that this is a week earlier than our normal meeting! We will be having a mini-food show prior to our general meeting and a 3 round chopped style competition. We are looking for 2 Teams of 2 professional chefs and 2 teams of 2 student chefs that would like to compete. it will be a winner take all Cash prize with the amount yet to be determined. This will be a great event to have as many students and members and Guests attend! The Food show will Feature a Number of our Supporting Associate Members. this is will be our first meeting of the New year and with the new Board. and an excellent chance for students and professionals to come out meet the board and really see what The American Culinary Federation Minneapolis Chefs Chapter is all about. where: The Lake Elmo Inn Event Center. Winner of Competition announced at the end of the General Meeting and Prize awarded. 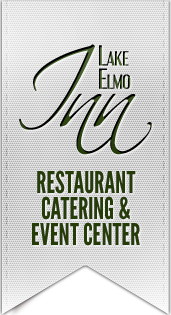 This will be a very exciting event and we hope to see each and everyone of you at the Lake Elmo Inn Event Center! Register on-line Today at acfmcc.com Don't wait!